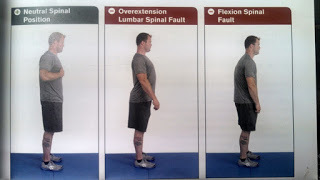 So much of your posture either comes from working from the feet up or from the hips and out. Depending on who you ask it is either of those. I'm not rue which one it is most times but I do know they play a huge part in posture. In this example we focus on the hips and importance of maintaining stability through them. We have talked in other article about the importance of external rotation (article) and this is one of the main areas it is important. Focus on stability at the hips can put your low back in the right position and then change everything in your lower body right down to your arches. Check it out.